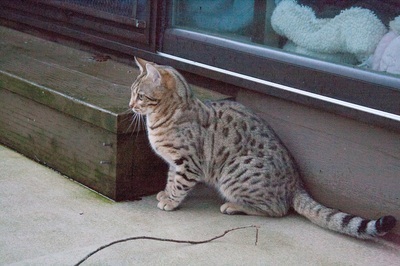 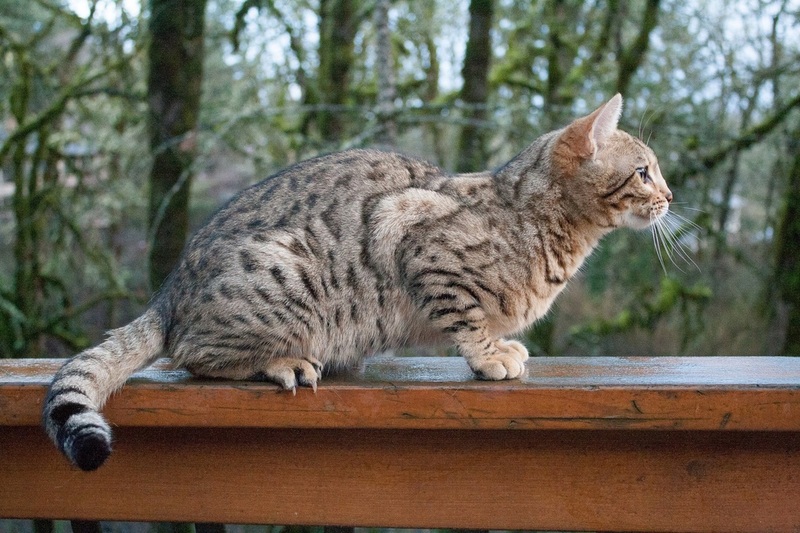 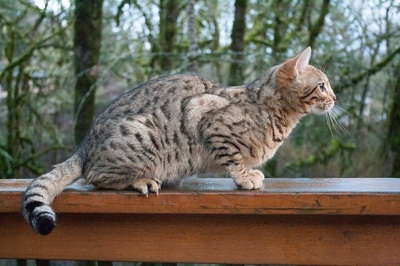 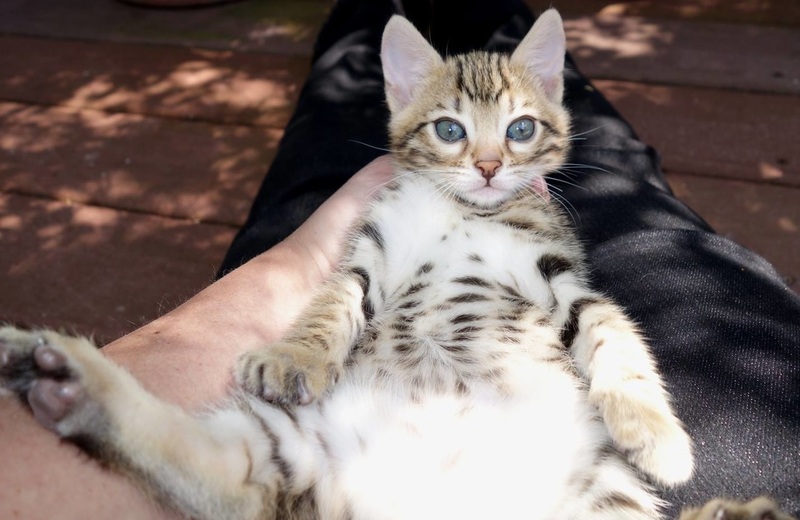 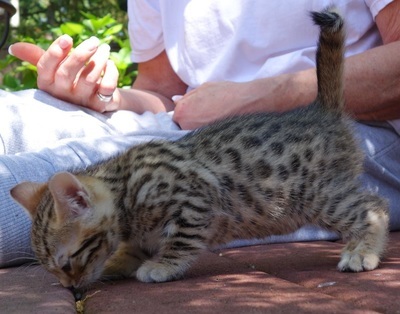 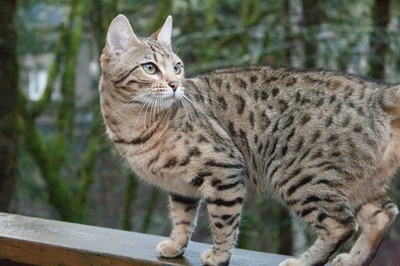 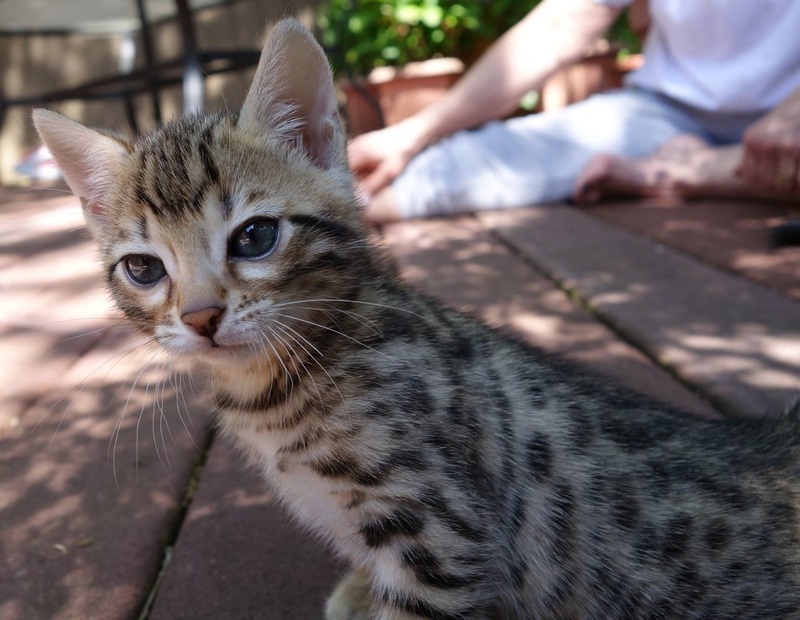 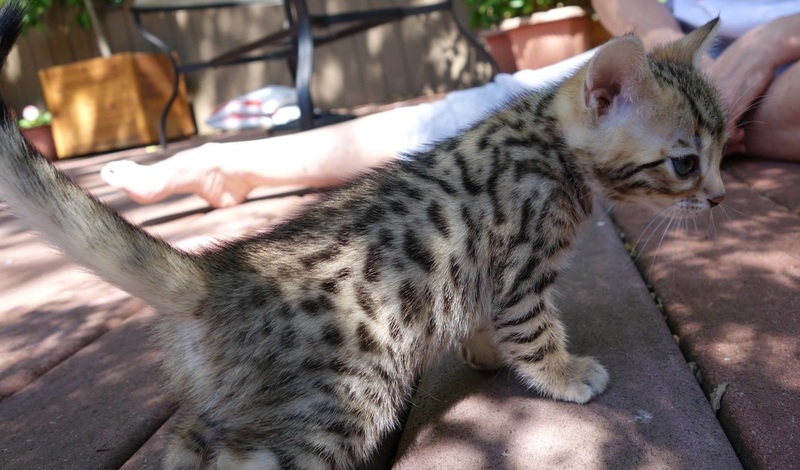 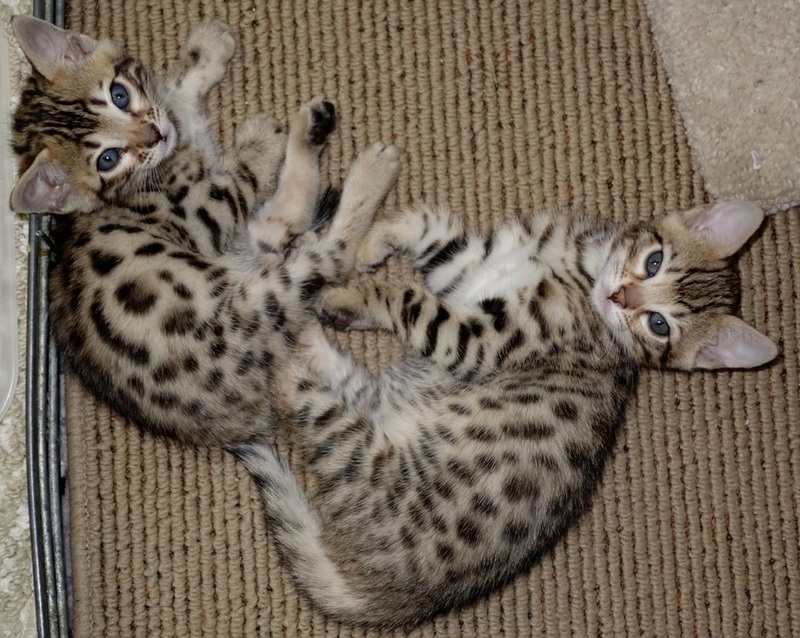 Raindancers Mystic River - Northwest Bengal Cats Beautiful, friendly Bengal Cats and kittens for sale in the Pacific Northwest of Oregon. River embodies so many of the qualities that we've been working towards for many years. 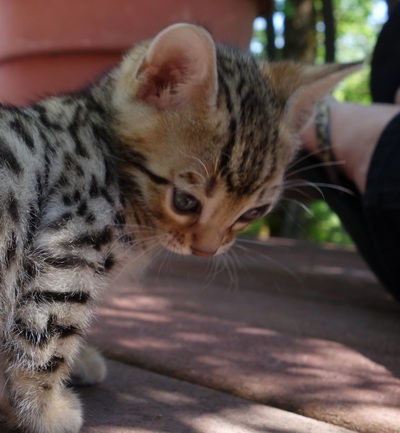 She has small ears, expressive eyes, wonderful athletic body, thick tail, strong top line and a very horizontal arrowhead spotted pattern. 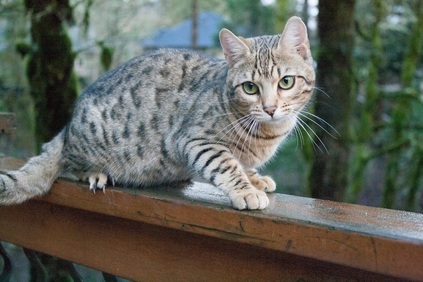 River is a smart, independent girl and a bit of an escape artist. She can be quite affectionate at times, but it's always on her terms.